Deluxe Personalized 2 Line Mailbox Sign - - two sided address sign attaches directly to your existing mailbox with the included hardware. 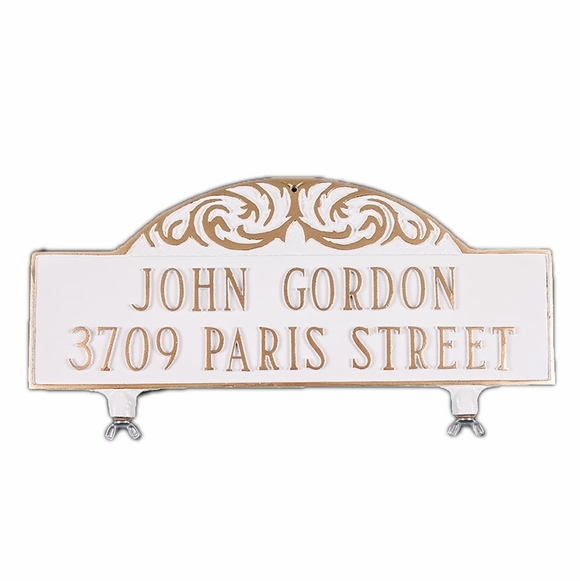 Two sided address sign attaches directly to your existing mailbox with the included hardware. Custom made with your address. Made in USA. We love our mailbox plaque! I wish you could first preview your options but it turned out great anyway. Very pleased. This was a beautiful product. Very well made, everything I was hoping for. Very pleased with the address plaque for my rural mailbox.